Published on 12 September 2012. 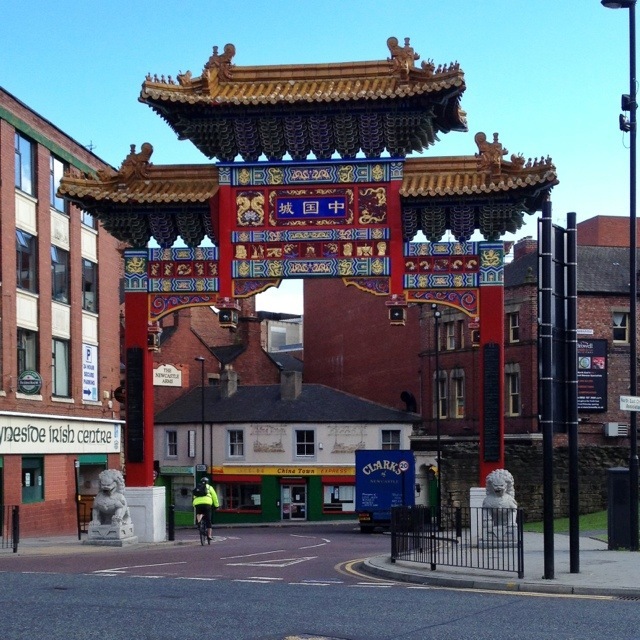 Another arch today: this impressive 11m tall Chinese arch marks the northern entrance to Newcastle’s Chinatown. It was constructed in 2004 by engineers from mainland China at a cost of £475,000, and has a pair of guardian Shishi statues. In 2008, the street lighting in Chinatown was replaced by pretty Chinese lanterns, which I might well feature another day! I was surprised to discover that England has only five “official” Chinatowns. As well as the one in Newcastle, there are Chinatowns in London, Manchester, Liverpool and Birmingham. This 1,807th post was filed under: Photo-a-day 2012, Newcastle-upon-Tyne.